Over-The-Phone Interpretation (OPI) Services - Niki's Int'l Ltd.
Over-the-Phone (OPT) interpretation services are very effective when a limited English proficient (LEP) individual needs immediate attention or when there’s relatively simple dialogue to engage in quickly and efficiently. Professionals from various industries are taking advantage of the vast benefits OPI provide and relying on the interpretation service regularly in order to communicate with individuals who do not speak English. OPI is extremely cost effective due to only paying for the time spent on the phone with the interpreter. 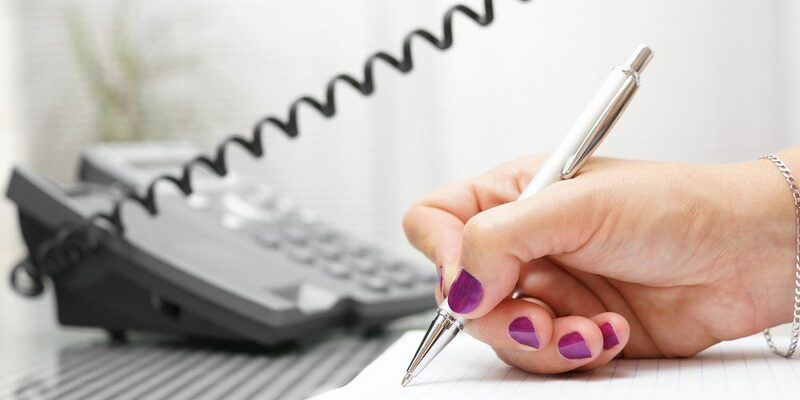 OPI connects you with an interpreter through pre-scheduled appointments or through on-demand services, with little to no wait time. Conducting business with international partners in remote regions or simply scheduling a follow up appointment with a LEP patient is made possible through the use of OPI. The many advantages of OPI has kept the demand for the language service high. It promotes understanding through proper communication and growth within businesses and individuals who interact professionally with linguistically diverse people. OPI builds LEP satisfaction, creating an ease of mind in the capabilities of your company. It aids in reducing stress and staff frustration. The use of OPI reduces spending on additional costs sometimes associated with on-site interpretation. OPI improves efficiency and accuracy in communication with LEP individuals. OPI increases productivity amongst employees. Introduce yourself to the interpreter as well as to the LEP individual. If there are multiple people in the room, introduce everyone. Eliminate background noise as best as possible, if others are present, ask them to remain quiet during the session, unless asked to speak. Eliminating distracting background noise aids in ensuring focus during an OPI session; this is important because the people communicating are not speaking face to face. Be in control of the conversation, the interpreter is only there to facilitate communication, not to direct or manage. Do not ask the interpreter his or her opinion, they are only there to bridge language gaps. Make the LEP individual aware that all information discussed is private and confidential so they can feel secure in divulging private or confidential information. Feel free to ask the interpreter or LEP individual questions to ensure all information is understood. Speak with clarity and be concise in sentence structure, use “plain English,” when possible and avoid any use of overly difficult terminology or industry jargon. Understand there are many linguistic as well as cultural differences, allow time for the interpreter to interpret the information in a way in which the LEP individual can clearly understand the information being presented to them. Encourage the interpreter to ask you questions if they need more clarification regarding a term or concept. OPI is a vital tool that facilitates communication when language gaps need to be bridged. Hiring a professional language service company (LSC) to gain access to OPI ensures communication is accurately facilitated and eliminates potential misunderstandings. The convenience of OPI allows people to communicate despite the language or dialect needed or the region in which they are located. Working with professionals ensures your information is correctly and successfully interpreted free of errors and void of misunderstandings. Niki’s Int’l Ltd. is a LSC who offers you access to a network of experienced telephone interpreters available in over 350 languages and dialects. If your in need of OPI services, contact Niki’s Int’l Ltd., they are dedicated to quality and professionalism in order to ensure your clients experience seamless communication over the phone.